Please note: This text was taken directly from the manufacturer. Here's an accessory that will give your Maksutov-Cassegrain telescope great new versatility. Our "MC to SCT" Adapter Ring lets you couple a wide variety of Schmidt-Cassegrain telescope (SCT) accessories -- including the popular f/6.3 Reducer/Corrector -- to your Orion Mak-Cass (MC)! 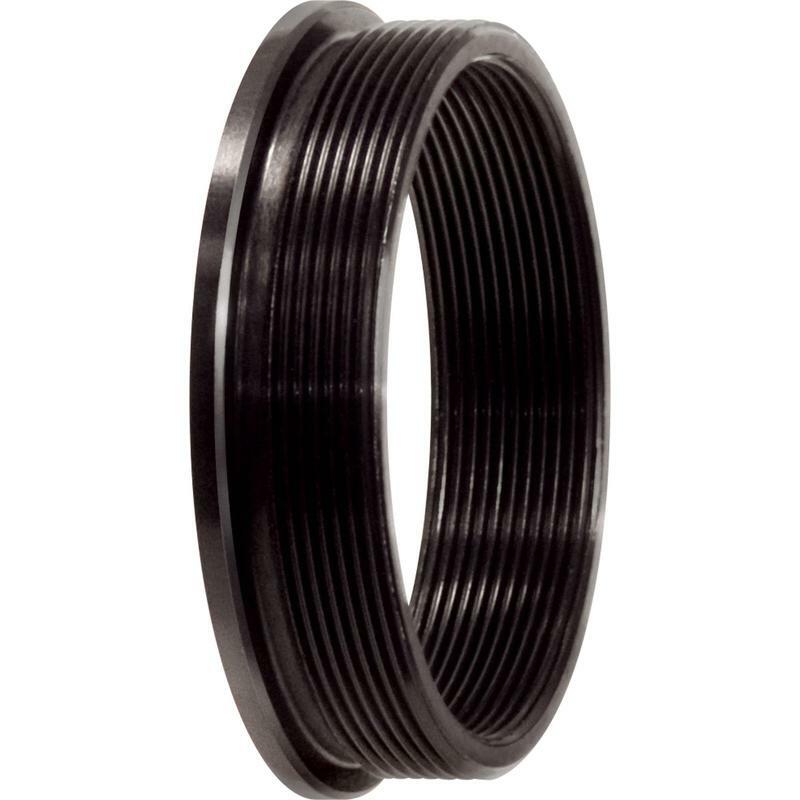 The adapter ring threads into the rear cell of any Orion Mak-Cass and provides male SCT threads just like those on the rear cells of Orion, Celestron, and Meade Schmidt-Cassegrain telescopes. The threads are compatible with all thread-on SCT accessories, including visual backs, 2" SCT diagonals, and common SCT camera adapters. Now you can use 2" eyepieces with your Mak. Or reduce its long focal length and enjoy lower-power, wider-field views by threading on a Celestron f/6.3 Reducer/Corrector (#5120). Made of anodized aluminum, the adapter ring is designed with an extremely low profile to maintain the full focusing range of the telescope. Get yours today! Les télescopes Maksutov ont leur propre filetage, qui ne correspond pas exactement au filetage SC. Par conséquent, un adaptateur supplémentaire est nécessaire adaptateur. Avec lui, la vaste gamme d'accessoires pour les télescopes Schmidt-Cassegrain peut être utilisée. Maksutov telescopes have their own thread, which is different to the SC thread. This means that an additional Adapter is required. Using this, then makes the extensive range of accessories for Schmidt-Cassegrain telescopes available for use.